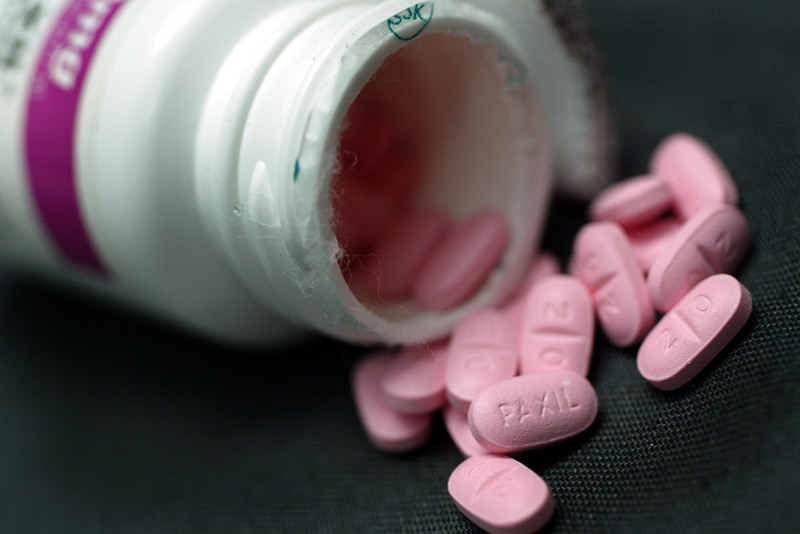 The widely prescribed antidepressant paroxetine -- sold under the names Paxil, Aropax and Seroxat -- has been found to be neither a safe nor effective treatment for depression in adolescents, according a new reanalysis of research originally published in 2001. The new paper is published today in The BMJ. It contradicts the findings of the original study, which was funded by the drug's manufacturer and concluded that paroxetine was safe and effective in treating major depression in children and teens. This new analysis "sets the record straight," according to the journal's editor-in chief, Dr. Fiona Godlee. It is the first published reanalysis of a drug trial by a group of researchers collaborating on an initiative called RIAT (Restoring Invisible and Abandoned Trials), an effort aimed at formally correcting abandoned or misreported studies to ensure doctors and patients have the most accurate information. The original study, published in the Journal of the American Academy of Child and Adolescent Psychiatry, was funded by SmithKline Beecham, now called GlaxoSmithKline (GSK). Referred to in the scientific community as Study 329, it has received wide criticism over the years. An officer from the U.S. Food and Drug Administration even deemed it a "failed trial" after a 2002 investigation. The New York State Attorney General's Office sued GSK in 2004, accusing the company of misrepresenting data on the antidepressant, which it said had been prescribed off-label to over two million children and adolescents in the U.S. after the publication Study 329 and a subsequent marketing campaign. In 2012, GSK agreed to pay a $3 billion fine, in part for fraudulently promoting paroxetine. Yet, through all of this controversy -- and despite numerous calls that original study be retracted -- the authors of Study 329, as well as the journal that published it, stood by their findings. That's why Jon Jureidini, a professor at the University of Adelaide in Australia, took on the task of leading the RIAT team in reanalyzing the study. Jureidini and his team got access to previously confidential documents to reexamine the data from the original study. Their new analysis showed that paroxetine was no more effective at treating major depression in adolescents aged 12-18 than the placebo pill used in the study. They also found that the harmful side effects associated with the antidepressant were underreported in the original study, as the initial researchers incorrectly coded the adverse effects. In the most glaring example, they incorrectly referred to a suicide attempt as "emotional lability," the RIAT researchers found. Thus, Jureidini and his team found a more significant risk of suicide associated with paroxetine than the original authors concluded. "This is highly concerning because prescribing this drug may have put young patients at unnecessary risk from a treatment that was supposed to help them," Jureidini said in a statement. The FDA requires all antidepressants come with a warning of the increased risk of suicide for children and adolescents. But Dr. John M. Nardo, a retired psychiatrist and member of the RIAT research team, told CBS News that there has been some pushback against this warning, and he says the new findings confirm the need for it. "You need to be informed. With every medication you need to think about the risk and the benefit," he said. "If you're going to give this medicine to a teenager, you need to tell the parents and the kids all the possible side effects and you need to watch them. I hope that at the very least this [new study] will add to the information base of patients, as well as doctors, and hopefully it'll help cut down on the over-medicalization of kids." Ivan Oransky, M.D., the vice president and global editorial director of MedPage Today, who chronicles scientific mistakes and misconduct at Retraction Watch, calls RIAT an important initiative. "Science correcting itself is a good thing," he told CBS News. When it comes to this particular drug, Oransky noted, "there have already been serious FDA warnings against prescribing Paxil to kids and teens. So this new analysis, which concludes that Paxil is not effective in treating kids and teens anyway, may not change what's actually prescribed to kids." In an emailed statement, GSK said it helped the RIAT team "carry out their reanalysis by providing access to the detailed data from the original trial," reflecting the drug company's "commitment to data transparency." GSK also said the findings "appear to be in line with the longstanding view that there is an increased risk of suicidality in paediatric and adolescent patients given antidepressants like paroxetine. This is widely known and clear warnings have been in place on the product label for more than a decade. As such we don't believe this reanalysis affects patient safety." In an essay accompanying the study, Peter Doshi, associate editor for The BMJ, says the new paper "has reignited calls for retraction of the original study and put additional pressure on academic and professional institutions to publicly address the many allegations of wrongdoing." More broadly, the RIAT research team says they hope their study sets a precedent for further reevaluations of other misreported studies, and called for all clinical trials to be opened up for independent third party scrutiny. "Regulatory research authorities should mandate that all data and protocols are accessible," Jureidini said. "Although concerns about patient confidentiality and 'commercial in confidence' issues are important, the reanalysis of Study 329 illustrates the necessity of making primary trial data available to increase the rigour of evidence-based research."